Are you fired up and ready to attack your weekend with passion and energy for your ecommerce business? Do you need a little push to get you going? You’ve come to the right place! It’s time for another session of Ask Scott here on The Amazing Seller. 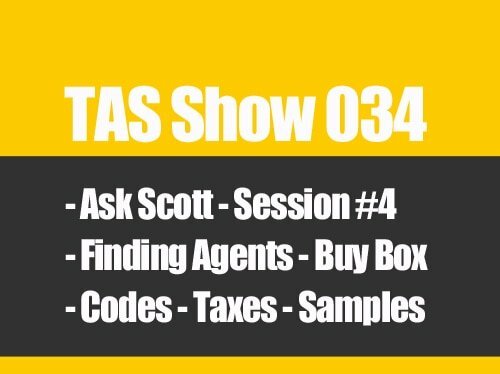 On this episode, you’ll hear from Scott as he shares another helpful “Thought of the week,” then he launches into his answers to questions submitted by TAS followers like you. Don’t miss this great opportunity to get helpful information and a jolt of excitement and energy injected into your day! Do you ever find yourself doubting your abilities or chances to be successful in life and business? What drives those doubts? What limits your ability to dream and strive to accomplish your dreams? On this episode of The Amazing Seller, Scott provides encouragement for sellers like you who are doing their best to grow their business and achieve their dreams. You’ve got to let go of those limiting believes you have about yourself and the negative narratives that others tell you. You have permission to dream! Go out there, dream big, and take action! Why you reviews shouldn’t be your #1 concern. As an ecommerce business leader, you know that customer reviews of your product on Amazon is important, but don’t make it your #1 priority! Seriously! Before you get too concerned about reviews, you need to make sure you have the right amount of traffic flowing to your listing and that the traffic is converting to sales, the reviews will come. On this episode of The Amazing Seller, you’ll hear from Scott as he goes over his take on reviews and discount codes. If you are ready to take your brand to the next level of growth, make sure to listen to this engaging episode! Don’t let competition scare you. What do you do when faced with a significant challenge? Do you embrace it or tiptoe away? That’s the question that many ecommerce sellers have to ask themselves in the product research phase. While it may require more work, don’t let competition scare you away from a product that you believe you could succeed with. Instead, focus on what you can do to stand out, build a following, and make your customer experience better than anyone else’s! To hear more about this important topic with Scott’s expert take, make sure to listen to this episode of The Amazing Seller, you don’t want to miss it! [3:00] Scott’s thought of the week; You have permission to dream! [13:30] Question #1: I have access to several products, should I test them all on the market? What is the best option? [21:45] Question #2: My question is with regard to discounted reviews. Is it still worth it? [30:50] Question #3: My competitor is selling through like an online retailer, sort of like Dicks Sporting Goods, should I still compete against them? …I’m coming back at you today with a little bit energy. I’m a little bit fired up today, little more than usual and I don’t know why. I just I’m. So hopefully you guys are as fired up as I am. Now today what we’re going to be talking about, just to kind of let you guys know the questions we’re going to be addressing; unique product buying opportunities. Sometimes things come up or maybe after you contact the supplier opportunities happen by taking action and you’re going to hear this one situation that one listener and we’re going to dig into that and you also can have these opportunities happen if you are actually putting yourself out there but also if you know what to look for. The other one that we are going to be talking about is reviews and discounts. We’re going to be talking about that and we are also going to be talking about dealing with competitors. Those competitors that are coming in. Hey, it might be you coming into the market or it might be someone else coming in after you. There’s going to be competition. There’s no way around it. We’re going to talk about how to deal with that and why a lot of times you just got to put your head down and get to work but we’re going to talk about that. Now, before I do jump into those questions I wanted to remind you if you have a question of your own and you want to have it answered here on an upcoming Ask Scott question, head over to theamazingseller.com/ask. And you can do that. Just leave a brief message with your first name, maybe where you’re turning in from and maybe how long you’ve been a listener. Maybe that would be something else that we can add to that recording there, that voicemail. That would be awesome. Then the other thing is the show notes. If you want to download the show notes to this episode head over to theamazingseller.com/496 and you can grab all the show notes, the transcripts, all that good stuff over there. [00:02:00] Scott: Now, I do have a little confession to make. Yeah, I got a little confession. Today’s episode is 496 and it’s session 154 but really it’s really like 153. I messed up. I actually had everything labeled in place and I didn’t realize that last week’s episode 153 should have been 152. So I’m just going to roll with it. I’m going to skip over 152 just so I don’t have to go back and figure out how I can get that edited. There’s no reason to. It’s one number. We’re just going to go with it. So this is session 154 but in actual reality it’s 153 but you guys don’t really care. We’re going to answer these questions today on this episode. It’s episode 496 though. So before we jump into today’s questions. You guys know I like to give you my thoughts for the week or whatever is going on in my head. And this week I was actually having a conversation with a good friend of mine Joe Bauer and I recently had him on the podcast. We talked a lot about mindset and why people fail and why people succeed and how people succeed and like going over that mindset stuff that’s always like a stumbling block for a lot of us including myself at times. But we were talking a lot about dreaming. Like I don’t mean the dreams that you go to bed and you dream something and you wake up and you go, “Oh that was a weird dream or that was a cool dream.” Not talking about that. I’m talking about dreaming in general of like what your life would look like or what you would like to have on your bucket list. Like these are things that people don’t generally do because they are so stuck in the day to day everyday grind like of what’s happening. And they don’t allow themselves to dream also because they don’t believe in themselves to achieve that dream. It’s really not your fault, again going back to myself. I was guilty of this myself. Like I didn’t think I had the qualifications to be able to go out there or the education to go out there and build an online business going back 15 years ago. [00:04:03] Scott: Like I didn’t believe in myself. So I didn’t dream. I didn’t dream of that. I never could have dreamt that I would be able to have my own successful brick and mortar business by myself with my wife. Never thought I would have been able to do that, did that. So I totally achieved that dream of having that flexible schedule to be able to be with my son at all the baseball games and coach him and be able to at all my daughter’s volleyball games and all of that stuff. Never dreamed that when I was in it that I could actually achieve that. I didn’t allow myself until I had a little help from my wife and even my father like telling me you’re smart in these other ways. You can totally do it. So started believing in myself and then again starting to allow me to dream and what I mean by dreaming again is like thinking to yourself like right now, like what would life be like right now, what would make life awesome for you if …. (fill in the blank.). So my life would be awesome if, (fill in the blank). Because everyone else, they might have something a little bit different than I do. Maybe you’re listening and you’re like yeah I don’t really care about like staying home or being with my family. I just want to be able to get out of this job because I hate it. You just want to do something that you’re really excited about every day. That’s fine. But yours is going to be different but here’s the deal. Again, that’s why I said it’s not our fault. We’ve been kind of conditioned over the years from society, from people around us, just we’ve been told things that make us limit the amount of dreaming that we can do. It’s like they’ve set these limits, you can’t do that because you don’t have the education. You need to have an education in order to be successful, wrong. But for people that are being told that they would never allow themselves to dream bigger. Again, that’s what we’ve been told. So if you’ve been told that and you’re limiting yourself to the dreams, I’m telling you right now, I’m giving you permission right now to dream. [00:06:09] Scott: And I don’t mean dreaming like I want to go to the moon. If that’s one of your dreams that’s fine. Got to be a little bit harder but I’m talking about most of the things that we want, that would be like I could never imagine that happening to me. That’s a dream. That’s a dream of yours. That’s something that would make your life more fulfilling. It would make it where you’re happier. Like all of that stuff. Again though. We’ve been told from other people or just society and conditioned ourselves that… Here’s one. Money doesn’t grow on trees. How many times have you heard that? I heard it growing up because my father was raised that way and then he passed it onto me and then I started telling my kids in the beginning. Now, I don’t say that. Yeah, I’m like you want it? Go get some money. Go buy it. That’s the conversation. It’s out there. There’s plenty of it out there. It’s circulating like money is everywhere. He’s got to figure out value to go out there and make. I mean, think about it. Everyone is doing a service to earn the money. So the money is there. It’s a matter of figuring out how are you going to go out there and grab some of that money so this way here you can start creating the lifestyle that you want. Like the money is there. It’s flowing. It’s you just need to figure out a way to get in front of it. [00:08:01] Scott: I’m like, “No we are kind of retired.” Then we just kept walking because a lot of people think your age determines if you’re retiring. Now I don’t look at retirement as everyone else does maybe. Retirement to a lot of people is like, all right. I’m done, I punch the clock for the last time, I’m going to sit on the beach and drink my mai thai. That’s what retirement for some people, that’s what they think it is. For me it’s doing exactly what I’m doing right now. Building businesses that I want to. Being able to go out and serve people through this podcast and I want to continue to do that and I’ve got even bigger plans to reach more people in other aspects of life, not just business maybe. Like, so all of these things that I’m going to be doing as I retire like it’s not retirement to me. I’m not going to stop doing what I’m doing. I’m going to keep doing what I love doing and then the money will just continue to flow. Now, are you going to think about ways you can monetize? Of course you are. But when you start to get yourself in the mindset that you don’t have to wait because you’re not waiting because you’re doing something that you genuinely want to do and maybe that business that you are starting right now isn’t going to be the thing but it’s going to be the vehicle that will get you to your next thing. Or the money that will finance the next thing. But you don’t have to wait 30 years before you retire. That’s craziness. That is absolutely crazy. So I don’t want to wait. And I don’t think you have to wait. But again we’ve been told that like how many more years before you retire? I’m retired man. Like I’m doing what I love to do. That’s retirement to me. I can go ahead and say I want to go to a ball game next week with my family and I can do it. I just have to put it in my schedule and build stuff around it. But that to me is living. So here’s your permission. Your permission to dream. I want you to dream. I want you to think about what life would be like if .. My life would be awesome if… Fill in the blanks. [00:10:00] Scott: Have fun with it. Don’t limit yourself to what other people have told you. Don’t limit yourself to what you think you can achieve. Because I’m telling you, you can do more than you imagine. You can do way more than you can imagine. You have skill sets that you don’t even know you have. Now, do you need to be reminded every now and then? Yes. So keep coming back here and I’ll keep reminding you because I think everyone has a skill set built inside of them. All they got to do is just tap into it. And you got to continue to take action like I always say. I had my pool guy here the other day and I get it all the time like, “So how can you be here at like 1230 in the afternoon? Every time I come you pop up and you say hallo. How can you do that?” I’m like, “Because I work from home.” And he’s like, “What do you do?” I do through the whole thing. Online businesses, ecommerce, yadi yadi yada. And he’s like, “Man, I wish I could work from home like you,” and my response was, “You can.” I said, “You can. You absolutely can. Why can’t you?” He’s like, “I got a business. I got a brick and mortar.” I go, “Yeah, you can have people run that and you can sell pool accessories online. And you can teach home owners online how to care for their pools and spars.” His dream of working from home is totally possible. But he doesn’t think he can. Because he doesn’t have the skillet. “I don’t have the skill set Scott. I’m not a computer guy. I’m not a computer guy. I can’t do it.” Well, here’s the thing. Dream it, create a plan, take action and you’ll have it. Period. Are you going to have bumps on the road? Of course. But you’re going to learn through those bumps on the road. But you can totally have it. My pool guy can have it if he wants it. It’s there. All the resources are out there. He just doesn’t believe in himself. I’m going to let you guys know. You guys have permission right now from me to dream. Dream. And think about what life would be like if… If I could do this it would be amazing. Then make that thing happen. [00:12:01] Scott: And again, like I’ve said before this podcast all started with me talking about like me starting an online business on Amazon. But I’ve started other online businesses and other brick and mortar businesses. It’s just this was the vehicle to allow me to connect with you and then help you if you wanted to be able to start a business on Amazon or off of Amazon and then start building that online business. So this way here you can learn through that process but then move on to the next thing that you want to, where you want to go, where you want to dream to go. That’s what’s it’s been for. Hopefully by me having a little bit of a platform here to be able to reach you, hopefully this gave you a little something today and that’s really what I want for you. I want you to go out there and believe in yourself and to go out there and just make it happen. Like you’re just again, you got to be so stubborn to not fail to not give up because you only fail when you give up. Don’t give up and you don’t fail. It’s as simple as that. All right, that was a little bit longer than as I expected as usual but hey, it’s good stuff. I really believe in this stuff. So let’s go ahead and listen to today’s first question from our first caller and I’ll go ahead, I’ll give you my answer. Let’s do this, let’s rock and roll. What I’m wondering is it worth it? Like I said there’s 41 different products. Will I have to make different listings for each of these products or if I didn’t bundle them, I know I could put them on the same listing. It seems like a lot of work and I thought that would be a great way to test the market, see what does sell and what doesn’t sell. And obviously go from there. Order larger quantities of what does sell well. But just seems like a ton of work. I’m not sure if you’ve ever ran into this. But if you have any advice, that would be great. Thank you. [00:14:55] Scott: Hey Levi. Thank you so much for the question and I was going back through my emails and I think you and I were going back and forth a little bit and depending on when this airs, I think Chris and I are going to be doing a YouTube video and discussing exactly your situation. But what I wanted to do is go through this quickly here on this Ask Scott session. Because I think for a lot of people, they don’t realize that sometimes these opportunities will come across their desk in a sense. Because they are out there, and they are connecting with other suppliers. Now, in your case, this is a very unique situation which is really awesome. Like you are getting an opportunity that a lot of people might not have a chance for. But I want people to understand just from your question that there are going to be opportunities the more that you put yourself out there. The more connections that you make with suppliers, these things can happen. Or just connections in general. Because there’s going to be people that go bankrupt. There’s going to be people that get started and they don’t pick the right product and then they bail on it and they leave it at the border. Then it gets brought back and then they have to liquidate them and then you could buy them as liquidation. Now, there does have to be some thought in this. Now, it sounds like and I think that’s what you said in your message here, was that these are products that are totally related to the niche that you are going to be going into. That would have been my question to you, again if we’re sitting down at that coffee shop is this a brand that you are building? If you are building a brand and you have 41 potential products to test in the market, I think that is awesome. The problem with it is it’s going to be a little overwhelming. You’ve got 41 products. What ones do I bundle? I go to create brand new listings? Am I wasting time on some of these that I know aren’t going to really work? So we got to go back to the drawing board as far as we got to look at the search results for some of these products. [00:16:54] Scott: We got to figure out creatively what products are selling the best. What ones are you going to make a little bit better or are you going to bundle to make that offer better? Because even though you might not be making the products necessarily unique, the bundle or the way that you sell them together could be unique. The other question would be is if you do bundle them will this company bundle them for you. That’s another question for you that I would need the answer to. The other question I would be asking is, are they going to give you unique packaging? Is this going to be packaging that’s already with their brand name on it, their logo on it? That wouldn’t be good. Then I would have to say well, we might do it but you got to take them out of their packaging. You got to give us new packaging on our stuff. So those are some questions but the first thing that you need to do is you need to start drilling into the numbers. You have like a catalogue of potential products that you can go ahead and start to basically… You can almost immediately get them shipped to start unless they are not branded with… Unless you got unique packaging, stuff like that which you might. You probably will but you need to figure out which ones are the best ones to start with. My other question would be, would this company be willing or this supplier would they be willing to allow you to maybe buy five of them? Five different SKUs or five different bundles. Whatever. Like five SKUs. Would they be willing to let you do that and hold the other ones for right now for you? That way there you don’t have to go and buy them all? That would be another question that I would need the answer to because if that’s the case, then you can pick and choose which ones you want unless they say, “No we want to sell all of them. We want to sell all of them and get them out of our inventory.” That’s another question that you’d have to ask yourself because now you’re going to be putting up a whole bunch of money and you’re not sure if all of these products are going to lend themselves to each other or they are going to sell well together. [00:18:51] Scott: But again, it goes back is this a brand that you are looking to build and these products will all fit that brand? If that’s the case then I would say go to that first step of looking at the search results, looking at the traffic, looking at the sales numbers. What ones won’t have the lowest amount of competition that you aren’t going to have to fight with competition for all of those questions will have to be addressed in there. But I think this is a great opportunity for you but anyone else listening, again that you get in with a supplier and I go back to our new brand we are with right now or that we’re building right now like my partner has done a phenomenon job at making great connections with our suppliers. Out of about probably 20 different suppliers that they’ve been communicating with, there’s three that we’re dealing with and one of them actually was working the agent of this supplier was working for this one manufacturer. They’ve since left but when they left my partner had such a good relationship with this agent that we were able to work a deal out that this agent was now working for us privately. So now instead of the manufacturer paying her so much per piece, we’re doing that. So we kind of cut out the middleman in a sense and now we’re going directly with our agent and we know that we are paying so much per piece and the more product that we source through that agent the more that they are going to make. So why wouldn’t they want to help us find more product. So again, same thing here and I know it’s a little off topic but it’s the same idea. These connections are everything and if you didn’t reach out to that one supplier you never would have had this opportunity. So again it goes back to the whole taking action thing like get out there, make these connections, you might have to go through 20 different suppliers before you find yours but once you do find that one that could lead you to things like this right here. A business going bankrupt and them giving you a tip off for it that could really go well in your brand totally worth it. [00:21:09] Scott: So Levi hopefully that helped you. Like I said Chris and I are going to be doing a hot seat where we’re going to dig in a little bit deeper, hopefully in the meantime you can give us some information. 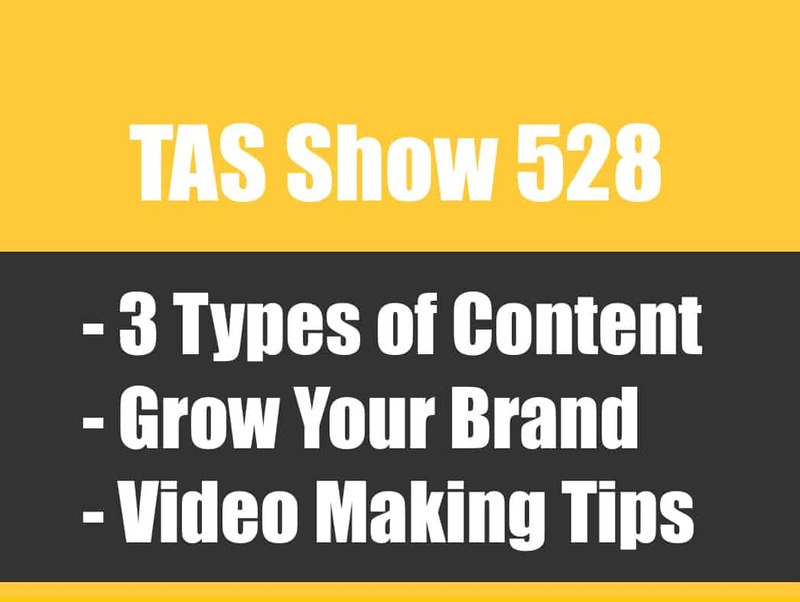 I think we’ve already reached out to you and we’ve gotten some of that information so we’ll be able to dig in a little bit deeper with some of these numbers so we have a better idea of where you are in this process and also how related this is to your brand. So thanks for the question and definitely look forward to digging into this a little bit further. And also sharing it with everyone that’s listening right now. So super excited about that. So let’s go ahead and listen to the next question and I’ll give you my answer. [00:21:45] Ryan: Hi Scott. This is Ryan from South Florida. I want to first thank you so much for the amazing information you give away to all of us. I came across your podcast about a month ago and I’ve really taken some serious action. I found an amazing product that I believe is amazing and have samples on the way and really looking forward to getting it going. My question is with regard to discounted reviews. I know that we are supposed to build that audience and when the time is right for us to start launching the product basically offer some discounts to this audience that we built up and it looks like Amazon is completely taking away the reviews or they are taking away all the reviews that are even a little bit discounted. It looks like even a small discounts are being completely removed from Amazon so I just wanted to get your thoughts on that and see ways to sort of work around this or work with it or what to do in order to still go with that offering discounts, trying to get reviews or if there’s some other tactics now. Thank you so much again. I look forward to hearing your answer. [00:22:51] Scott: Hey Ryan. Thank you so much for the question and this is a good one and I love talking about this because I think a lot of times people are looking at the wrong thing. Here’s what I mean. Your question is reviews and discounts and can people still leave a review if they get a discount and if they can’t leave a review why should I still give away my product at a discount? And why should I even go through that whole process or how can I still give a discount and still get a review. Those are like the overall like questions. But first off, before I even dig into that, I just want people to understand that when we are doing a launch getting the reviews is secondary. I’m not looking at the reviews. I know that goes against some other people that are out there teaching or that you are following me. That’s okay. That’s not my approach. That’s not our approach. We find products that have low competition that are not driven by reviews so that’s not our main focus. Reviews will start to come naturally, that’s what we’ve been doing in the new brand and it works lovely. Works great. But if you are going after the sales in the beginning expecting the reviews I think that’s a bad approach. You could be disappointed because Amazon will be changing this stuff all the time. Now, I personally have not seen where we give a 30% discount that someone can’t leave a review. I have not seen that as of right now. Now does that mean that that’s across the board? I can’t say that for sure. But again, if I’m giving a 30% off discount with a code and someone has to enter that in or click a button to get it whatever, and now that reduces my chances of reviews, I’m I still going to give away that chance of discount? Absolutely yes. And the reason is because I’m really just going after the sale. I’m trying to get sales to let Amazon know that my product is selling so then they start to rank me and give me more eyeballs. Once I have more eyeballs on my listing and I can sell organically reviews they will stick. [00:24:55] Scott: Because they are going to be coming from that. Now, here’s one little thing you could do but again you’re going to control of the traffic and letting people know, this is something that we’ve done, it works really well just because we didn’t want to give out a discount code. We just wanted to do something where we were able to get more people to the listing without having to enter a code, a little less friction there so you’re going to have a little bit of a higher conversion rate. Again, it’s like a full sale. So what we did was we have our email list which you talked about possibly building an email list, which I think you should. And that way there you have that leverage. But here’s what we did. We went ahead and we said we’re going to do a flash sale for the weekend; Friday, Saturday and Sunday and we are going to discount it 25%. So what we did, was we took 25% off or our current selling price and let’s say it was I’m just going to do some random math here. I think we even rounded it up to where it was five bucks. So it was a list of $5 savings. So let’s just it was $25 product, we did it for $20, whatever it is. It’s probably not the right math but you get the idea. So normally sells for $25, we’re going to give 25% discount, we want to make sure that it is a legit at least 25% discount so if people go, “Oh that’s not.” We want to make sure that the math works out. And then we basically set our price on our listing for that sale price. So now the sale price is $19.99. So now what we do is we email our list. And we send then three emails. The first email is, “Hey guys, happy Friday. Today we are having an amazing fishing pole sale on all of our fishing poles. For this weekend it’s going to be 25% off our top selling fishing pole. You can get it this weekend, here, click the link, go ahead and grab it. Love you guys. Bye. Happy fishing.” That’s it. The second email that will be the following day. [00:26:57] Scott: “Hey guys just checking back in. Want to remind you of our flash sale that we are having this weekend in celebration for how awesome you guys are and hopefully you guys can catch some more fish with the new pole and save a little money in the meantime. Here’s the link again, have a great weekend, send me the pictures of the biggest fish this weekend.” Something like that. Then you’re going to send one on the last day on Sunday and you’re going to have a subject line of something like ‘Last chance’ and then you send them that email and then in the email it would say, “Just want to give you a heads up, the flash sale is ending tonight at midnight. If you did not get it already, go ahead, make sure that you get your fishing pole for this discount. It will be ending at midnight. After that it will be back to regular price.” Something like that. So we sent three emails. One of them was telling them about the sale. The second one was reminding them about the sale and probably even put in the PS that this will end on Sunday. And then on the last email it would be just, “Hey, time is running out. We’re going to be ending this deal.” So by doing that we’re sending people directly to our listing but they’ve already opted in so we’ve already done that whole thing. They’ve already given us their email address. We don’t have to worry about that. We know they are qualified potential buyers. And then from there they are going to our listing and they don’t have to enter a code. All they got to do is click ‘Buy now’. And then they get it at the discount and then Monday morning we can go ahead and bring our price back to $25. No coupon, nothing. Then Amazon looks at it like it’s a real sale or a regular price sale. Or just sale without a discount code. So that’s one way that you can get around it but again we could use all these strategies and techniques throughout because again we have a mixture. We have some that will do code because if we are doing a code a lot of times we’re going to grab an email address in the meantime. So if we’re going to run Facebook ads we’re going to run that Facebook ads to a landing page which I’ve talked about before and then in exchange for their email, they’ll get the coupon code. [00:28:57] Scott: Then that’s where we would have an email code on the other page. So that’s again, I know was a little long winded but that’s how we do it. That’s what I suggest you do or anyone else that’s thinking about I’m doing these promotions and I want to get reviews. Well, number one you need a follow up sequence in place no matter what. No matter where that sale comes from you want a follow up sequence in place and that is done for us we use SalesBacker. So again if you guys want to check that out I’ll drop a link in the show notes. You guys can check that out. That’s theamazingseller.com/salebacker. You can go there directly and get a, I believe it’s a 60 day free trial without even entering your credit card. So definitely check that out. And yes, I am an affiliate for SalesBacker. Good friends with Chris Guthrie, the developer of that and the creator but it’s a great product. But you’ll also get a 60 days free trial, no credit card. Check that out. If you’re not doing that, I would definitely definitely start that follow up sequence immediately. So that’s what I would do. That’s what I would. It’s I would set up that follow up regardless. I would drive sales from all different angles and the reviews will start to come. Whether they come from a discount code, it doesn’t really matter to me. To me it just matters that I’m going to be getting sales. I’m going to be ranking and eventually I’m going to be getting those reviews. All right. It all goes back to picking the right product, the low competition, a good market, all that stuff. All of this stuff by the way too we talk in our brand new training, product discovery boot camp. So I’ll give a little shameless plug there, it’s an amazing brand new training that we created. It’s a three week training definitely check that out if you’re stuck in that then you want to figure that out, productdiscoverybootcamp.com. Check that out. Let’s go ahead and listen to the last question of the day and we will wrap this up and you guys can get out there and start taking some action. What do you say? Let’s do it. [00:30:48] Sam: Hi Scott. Sam turning in from Pennsylvania. Just finished episode 406. Man I love how you say that you feel like you’re just starting out even though you’re 400 episodes in. Super inspiring to me. And question for you. So it’s been about four months journey with me for Amazon and my main competitor has a very specified product, very close to what I just sourced and what I’m concerned with is they have about four other spoof listings so they have four other listings with a name that’s not their brand name but it’s so similar to it. And after some further research I’ve found out that they are selling through like an online retailer, it looks like. Like sort of a Dicks Sporting goods for Amazon where these other brand names are selling multiple products. That’s sort of concerned me and maybe that’s the reason why they are doing such high numbers and they don’t really have any other competition. I’m going to be the first one with a product that’s very similar to theirs with a listing up. So I want to see if you had any advice for me. I’ll send you the product so you can take an in-depth look at it. Thank you so much for the advice you’ve been giving me and looking forward to listening to the next episode. [00:32:12] Scott: Hey Sam. Thank you so much for the question and yes, you’re right. It does feel like I’m just getting started here and the time of this recording it is, we’re 496 now. So we’re tracking a long over here. I’m learning every day right along you guys and I enjoy every minute of it. And I’m not going to stop learning. I’m just going to keep doing and keep learning and keep sharing. That is the plan, that is the goal. All right, let’s talk about this and there’s a lot of different things we could be talking about as far as like questions that I would ask you but for the most part, we’re just talking about competition. Now, if someone is coming in or if that one brand is creating like fake accounts to list their products that’s a whole other animal. And eventually Amazon will figure that out. So don’t worry about that. I think that’s what you’re talking about. I think what you’re kind of talking about is like there’s a brand and then there’s a retailer that’s selling like multiple types of products, almost like retail arbitrage. So if I was selling retail arbitrage on my account I could have Nike, I can have Adidas, I could have fishing poles. I could have like all different stuff. I can have a variety of different things, different brands. It wouldn’t matter. So I can totally sell that. So that could be kind of what we’re talking about here as far as the competition. The competition is just re-selling other people’s brands. That might be the case. Like you said, like an online retailer. A lot of times that stuff doesn’t really concern me. Even people ask me like are concerned like Amazon is competing on first page with the results of what is found on that page? The answer is not unless they are dominating the entire page. I got to look at the numbers because a lot of times the optimization there for the bigger retailers are not there. A lot of retailers just slap up a listing and call it a day. So you got to look at that stuff and ask yourself, does it really concern you? Does it really concern you that there’s three other retailers selling a product that’s similar to yours. [00:34:17] Scott: That would the other question. It’s similar to yours but it’s not yours. What will make yours stand out? What will make yours better? If you’re going after just price that’s risky. so if you’re like the only way that I’m going to win here is I’m going to undercut these guys, that’s a problem and I do not want to see you do that. I actually just did a video that I posted on YouTube talking about one of the big mistakes that a lot of new sellers make is they don’t think about the price of what it would be like if they have to bring their piece down. So here’s what I mean. Let’s say for example you’re like, “Okay they’re selling it for $20 but I think I can sell it for $30.” Well the big word there is think. You think you can. Which is fine and you might very well be able to do that. That would be phenomenon but you got to say I need to do my pricing and if I was to sell it for $25 or $20. Then base my decision on those numbers. Now, if you said, “Well there’s no way I would make money at $20 or $25,” then that’s probably a red flag. You probably don’t want to go in to that market with that type of product. Now, I’m not saying you can’t go to that market, just not with that product. Now, again going back to like the competition I always look at it this way. Like if I’m going against someone like that, like a major retailer or something like that. A lot of times the optimization isn’t there. It’s like you know what, there’s going to be competition. It doesn’t matter if I open up a bar down the road or a micro brew pub. Like they are popping up all the place. Like am I really going to worry about it? Well, I might think how am I going to be different? How am I going to be unique in this neighborhood? And it’s the same idea that you have to do here. How is your product going to be better? How is your customer journey going to be better that people after they buy your product? Those are the things that you need to ask yourself. How are you going to have an email list that you can drive sales that that way you can rank easier? Are you going to be better at your pay-per-click than they are? [00:36:25] Scott: There’s all of those things that you can think about that they might not even be doing. So that would be the other question. Are they running pay-per-click? I would want to see that. I would want to see if they are, how aggressive are they? So I would look at those things but again it would not really concern me all that much unless I seen that let’s just say, I’m in the supplement market and I see like they are doing like a 100 free giveaways of their product every day to stay ranked because they are going to do 300 sales a day. That’s happening out there. I don’t know if you guys know that. But there’s big brands out there that are basically giving away 100 units just to spike the algorithm to keep their rank so they can sell 300 units a day. That’s part of their budget. I don’t want to deal with that. I don’t think you want to deal with that. I don’t think that’s the case here but that’s what we’re dealing with. So that’s why we go for products that sell 10/15/20 a day because a lot of the major players they don’t even want to monkey around with those small sales. Then they are not going to… We’re not going to have to compete with that black hat, grey hat type world. Hopefully this helped you. I again, will give you the advice I gave my partner recently. Put your head down and focus and just keep taking action. Don’t even worry about it. Just head down, focus, take action. Just do it. Let’s just keep going and launch that product, launch another product, launch another product, launch another product and then pretty soon it doesn’t even matter about that one product necessarily because all of them are going to work together. Hopefully that helped you. All right guys. That was a little long winded today. Ask Scott sessions when I first started these, they were supposed to be like 15 minutes and I was going to be out. They end up being sometimes longer than regular episodes because I rant a little bit in the beginning which I asked you guys if you guys were cool with that and majority I would say, a really high majority of you said yes, keep them coming. So definitely I’ll keep them coming but that’s what takes up a little bit time but I enjoy doing it as well. [00:38:21] Scott: So to remind you guys if you want to ask a question, all you have to do is head over to theamazingseller.com/ask and you can do it there. Record a voicemail, leave your first name, maybe where you’re turning in from and maybe how long you’ve been listening to the show. That would be pretty cool too. Then the show notes can be found at theamazingseller.com/496 and I’ll have all the links, the resources there for you. I’ll link up to the list building training we’ve done there, the free training. I’ll also link out to the product discovery boot camp which is our new training which is I’m really excited about. I’ll link all that stuff up. So guys that is going to wrap it up officially here today. Hopefully you guys are fired up. Hopefully you guys got a ton of energy and I’m going to leave you with what I usually leave you with. I want you guys to remember that I am here for you, and I believe in you and I’m rooting for you but you have to, you have to… Come on say it with me, say it loud, say it proud, “Take action.” Have an awesome, amazing day and I’ll see you right back here on the next episode. Now go out there and dream big. 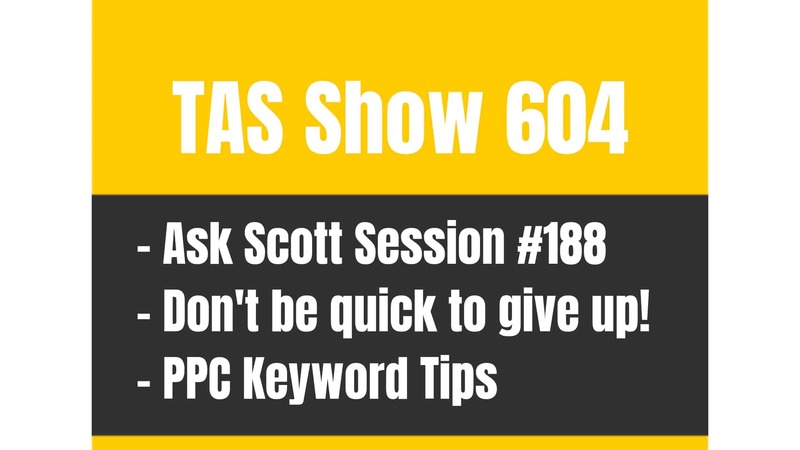 TAS 604: Ask Scott #188 – What If My PPC Keywords Are Not Converting to Sales? 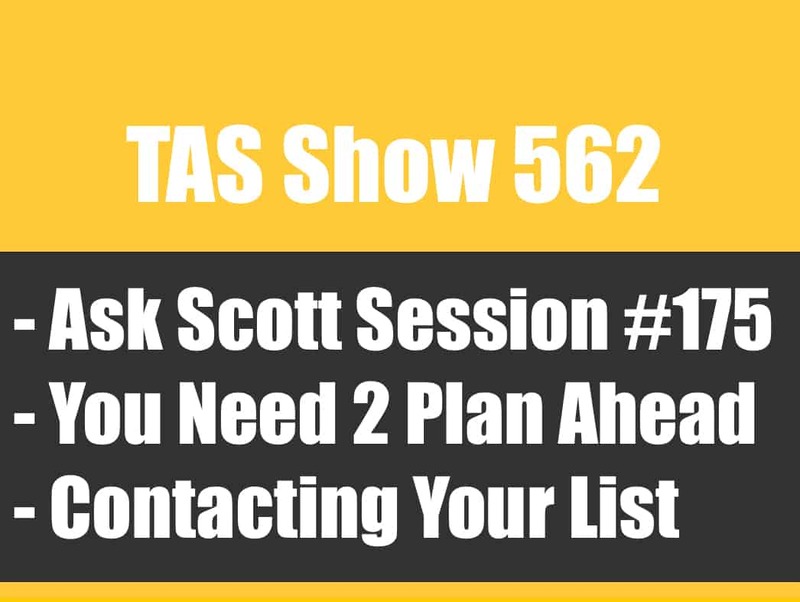 TAS 562: Ask Scott #175 – What’s The Best Way To Send Emails To MY LIST?